MIT Researchers Show That iPS Cells Are Fully Pluripotent Friday, 29 February 2008 In this month's issue of Cell Stem Cell, scientists at MIT's Whitehead Institute for Biomedical Research continue their groundbreaking work on pluripotent stem cells. The team headed by Rudolf Jaenisch shows that a specific sequence of biochemical manipulations can reprogram a skin cell into a pluripotent stem cell. Results showed that when expressing the reprogramming genes, a minimum of 16 days is required to fully reprogram skin cells to pluripotent cells, with one pluripotency marker arising first at three days, followed by another marker at nine days, and the fully reprogrammed cell at 16 days or later. This final stage of reprogramming was also the time in which the expression of the four genes could be removed. Any time point before then, the cells could not be reprogrammed. The cells thus go through a sequential, not random, process of reprogramming. Jaenisch concludes that there is a specific sequence of events required for reprogramming a cell to a pluripotent state. Also, silencing of the four reprogramming genes is necessary for differentiation of the iPS. The results will help future researchers to define what a cell needs to reprogram itself without using a virus or cancer-causing genes. Penn researchers engineer first system of human nerve cell tissue Implications for nerve repair and implantation Wednesday, 27 February 2008 Researchers at the University of Pennsylvania School of Medicine have demonstrated that living human nerve cells can be engineered into a network that could one day be used for transplants to repair damaged to the nervous system. They report their findings in the February issue of the Journal of Neurosurgery. “We have created a three-dimensional neural network, a mini nervous system in culture, which can be transplanted en masse,” explains senior author Douglas H. Smith, MD, Professor, Department of Neurosurgery and Director of the Center for Brain Injury and Repair at Penn. Although neuron transplantation to repair the nervous system has shown promise in animal models, there are few sources of viable neurons for use in the clinic and insufficient approaches to bridge extensive nerve damage in patients. The Stretch Test In previous work, Smith’s group showed that they could induce tracts of nerve fibers called axons to grow in response to mechanical tension. They placed neurons from rat dorsal root ganglia (clusters of nerves just outside the spinal cord) on nutrient-filled plastic plates. Axons sprouted from the neurons on each plate and connected with neurons on the other plate. 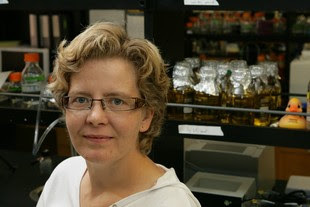 The plates were then slowly pulled apart over a series of days, aided by a precise computer-controlled motor system, creating long tracts of living axons. A recently discovered type of human genetic variation, known as a copy-number variant or CNV, is a reliable addition to the toolkit of population geneticists and should speed the discovery of disease-related genes. Rosenberg and his colleagues discovered 507 previously unknown CNVs, which are large chunks of DNA — up to 1,000,000 consecutive "letters" of the genetic alphabet — that are either repeated or deleted entirely from a person's genome. Various diseases can be triggered by an abnormal gain or loss in the number of gene copies. It's sometimes possible to trace a person's ancestry to an individual population within a geographic region. While previous studies have found that broad-scale geographic ancestry could be successfully traced, the new results indicate "it's becoming increasingly possible to use genomics to refine the geographic position of an individual's ancestors with more and more precision," Rosenberg said. 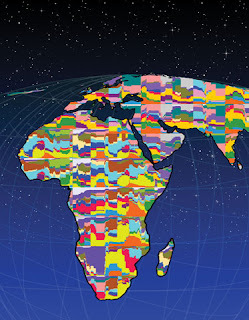 Human genetic diversity decreases as distance from Africa — the cradle of humanity — increases. People of African descent are more genetically diverse than Middle Easterners, who are more diverse than Asians and Europeans. Native Americans possess the least-diverse genomes. As a result, searching for disease-causing genes should require the fewest number of genetic markers among Native Americans and the greatest number of markers among Africans. The results are being made available on publicly shared databases. "I hope the study will be an invaluable resource for understanding genomic variability and investigating genetic association with disease," said the NIA's Singleton. A schematic of worldwide human genetic variation, with colours representing different genetic types. The figure illustrates the great amount of genetic variation in Africa. Illustration by Martin Soave/University of Michigan. Douglas Wallace, director of the Center for Molecular and Mitochondrial Medicine and Genetics at UC Irvine and study leader, says the findings also address a core dilemma facing efforts to cure and treat inherited degenerative diseases, including chronic heart and muscle disease. A complete understanding of the importance of mitochondrial defects caused by either mitochondrial or nuclear DNA mutations could lead to treatments effective for age-related diseases that affect millions worldwide, Wallace added. To prove the importance of mitochondrial DNA mutations for health, the UC Irvine researchers generated a relatively mild mitochondrial DNA mutation in mouse cells, which reduced a key enzyme of mitochondrial energy production by 50 percent. 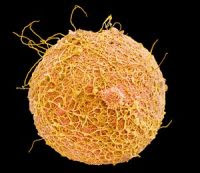 They then used female mouse embryonic stem cells to create mice in which this mitochondrial DNA energy deficiency mutation was inherited through the female germ line, which is the reproductive cells and other genetic material passed to offspring. Mice harbouring the mutant mitochondrial DNA appeared normal early in life, but by one year they developed marked muscle and heart disease, similar to disease that can develop in humans. “Consequently, mitochondrial DNA mutations and their related energy defects are sufficient to cause age-related disease,” said Wallace, the Donald Bren Professor of Biological Sciences and Molecular Medicine and a National Academy of Sciences member. Weiwei Fan, Katrina Waymire, Navneet Narula, Peng Li, Christophe Rocher, Pinar Coskun, Mani Vannan, Jaget Narula and Grant MacGregor of UC Irvine also participated in this study, which is supported by the National Institutes of Health and the California Institute of Regenerative Medicine. About mitochondria: Mitochondria exist in all human cells and have their own DNA. They generate energy by burning the calories that we eat with the oxygen that we breathe, much like a coal-burning power plant. In addition to energy, mitochondrial combustion generates “smoke” in the form of oxygen radicals. These oxygen radicals damage the mitochondrial DNA giving it a very high mutation rate, both in the tissues of our bodies and also in the cells of the female germ line. Since the mitochondrial DNA is outside of the cell’s nucleus and not associated with its DNA, it is inherited exclusively from the mother and is present in thousands of copies per cell. As the mitochondrial DNA of our cells accumulates damage with age, the blueprints required to sustain energy production are lost, the body’s equivalent of a brownout. The resulting age-related decline in cellular energy production ultimately leads to tissue and organ failure and the development of clinical disease or illness. Thus the accumulation of mtDNA damage may explain aging and the delayed-onset and progressive course of age-related diseases and aging. Choanoflagellates, a type of nanoplankton, are closest living one-celled relatives of animals Friday, 15 February 2008 The newly sequenced genome of a one-celled, planktonic marine organism, reported Thursday, Feb. 14 in the journal Nature, is already telling scientists about the evolutionary changes that accompanied the jump from one-celled life forms to multicellular animals like ourselves. In the Nature paper and a complementary Science paper also released this week, University of California, Berkeley, biologists Nicole King, Daniel Rokhsar and their colleagues present their first draft of the genome of a choanoflagellate (ko AN oh FLA je let) called Monosiga brevicollis, and their first comparisons with the genes of multicellular animals, the so-called metazoans. The sequencing and analysis was performed by the Department of Energy Joint Genome Institute (JGI) in Walnut Creek, California, in collaboration with researchers from UC Berkeley and eight other institutions. 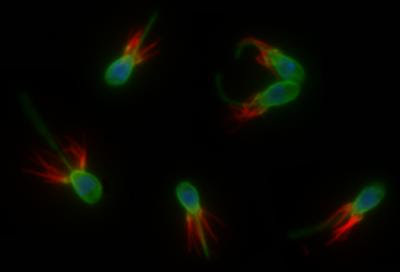 Choanoflagellates are aquatic microbial eukaryotes that are distinguished by an apical flagellum (green), which is used for swimming and feeding, surrounded by a collar of microvilli or tentacles (red) against which bacterial prey are trapped. The nucleus is highlighted in blue. 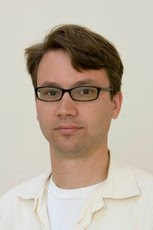 Credit: Nicole King laboratory, UC Berkeley. Carbohydrate Regulating Stem Cell Potency Friday, 01 February 2008 Heparan sulfate, a carbohydrate molecule that coats certain proteins on the cell surface, is critical for the proper proliferation and potency of embryonic stem cells, researchers report. Stem cells’ tremendous therapeutic potential arises from their ability to continually self-renew and turn into any adult cell type. Researchers have long been trying to uncover the basis of these abilities, but while several proteins and growth factors are known to play a role both inside and outside the cell, the molecular mechanisms remain largely unknown. Many of the stem cell associated can attach to heparan sulphate (HS) molecules, so Shoko Nishihara and colleagues, Laboratory of Cell Biology, Department of Bioinformatics, Faculty of Engineering, Soka University, Tokyo, Japan, examined what would happen to mouse stem cells in cell culture if heparan sulphate production was reduced or blocked. They discovered that three of the major external factors promoting stem cell renewal (proteins called Wnt, FGF, and BMP) could not induce the proper signals inside the cell without HS. As a result, HS deficient cells grew more slowly, and also spontaneously differentiated into other cells more often, at rates that correlated with the level of inhibition. Nishihara and colleagues propose that heparan sulphate might be the cell-surface component that mediates the external and internal signals promoting stem cell renewal, and could be an important target for stem cell engineering. Caption: Model displays external factors that act to block stem cells from differentiating into different types of adult tissue. LIF activates STAT3 and blocks non-neural differentiation by induction of Myc, while BMP/Smad signalling through HS chains blocks neural differentiation by induction of Id. 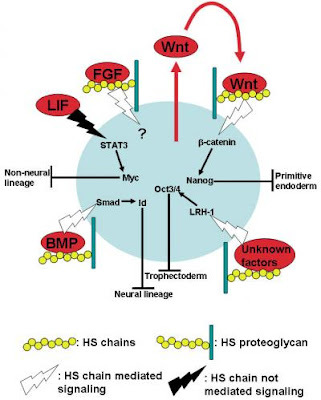 Wnt/b-catenin signalling through HS chains blocks primitive endodermal differentiation by induction of Nanog. FGF may contribute to proliferation through HS chains. HS chain dependent signalling by unknown factors may regulate proliferation and Oct3/4 expression. Credit: Shoko Nishihara.